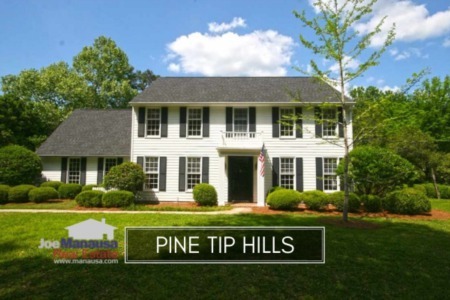 Pine Tip Hills is located north of town, just off Rhoden Cove Road, and a short ride on Meridian to midtown. 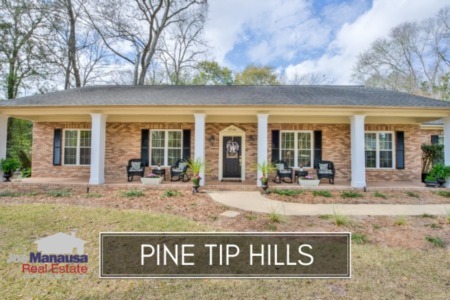 Featuring large homes on over-sized lots, buyers will find much to like in Pine Tip Hills. If these homes have not been showing up in your property search, it's likely because the neighborhood is actually in NW Tallahasssee, as it is located just a few yards west of the east-west divider. If you want to sell a home in Pine Tip Hills, make sure you hire a real estate agent that can drive traffic to your home. Take a look at what they are spending each month to reach the pool of buyers currently in the market, because most buyers in your price range will not see Pine Tip Hills in their search results (they'll be looking in NE Tallahassee only, which will take them to within a few hundred yards of your home, but not too it!). It is important to note that the narrative contained below is for sales through December for all previous years, but through the third week of May in 2017. The graphs and the closed sales table will be continuously updated into the future (meaning bookmark this page if you always want to know the current status of homes in the Pine Tip Hills). Since few homes sell in this small neighborhood each year, we see fluctuations in home prices that are not necessarily a trend, rather they are merely the result of which sizes or ages of homes that were listed and sold. Look how average prices soared last year, only to return to where they've been since the collapse of the market. There appears to be a reluctance in current buyers to spend above $500,000 in Pine Tip Hills. The average home sales price in Pine Tip Hills in 2017 has been $367,500, and homes well under $500,000 should sell fast if properly marketed. Home sales activity in Pine Tip Hills is not where it has been in the past few years, but this should be of little concern to homeowners here. 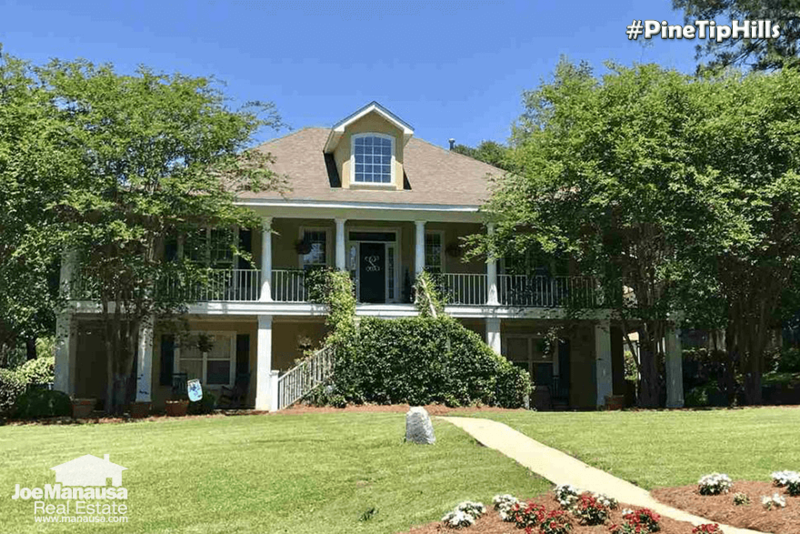 Of the three homes for sale in Pine Tip Hills, two are already under contract, showing that the buyers are standing by when serious sellers want to correctly market their homes for sale. Average home values have declined in 2017, but again, with only two homes sold thus far (low liquidity), we cannot call this a trend (yet). If you take a look at the table of home sales at the bottom of this report, you will see that one new construction sale is skewing the average higher. Whereas all existing homes sold between $120 and $140 per square foot, a builder home sold for $216 per square foot. This is why "average" is only a rule of thumb, and you have to get an expert opinion on what your home would fetch in today's market. I'm sure that builder who sold the home for 62% above the average value did not rely on averages to price his home. The average value of a home sold in Pine Tip Hills in 2017 has been $131 per square foot, which is fairly consistent with what has sold since 2010. The average home size sold in Pine Tip Hills typically falls in a range of 2,500 to 3,500 square feet, and this year the average has started off towards the smaller end of this range. The two homes sold in 2017 have averaged 2,792 square feet. I hope you enjoyed our May 2017 update on home sales in Pine Tip Hills, please feel free to drop me a note if you have questions not covered in this report.